A really fatal car accident has occurred along Abuja road, causing the death of all the passengers. 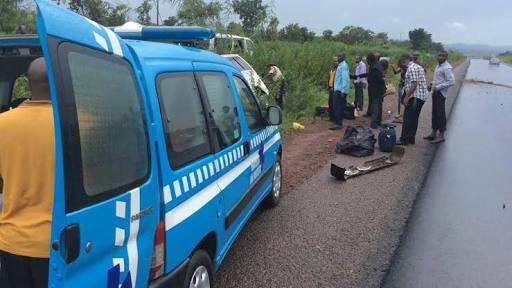 The scene of the accident which happened at Gada Biu, along Abuja road, has left many in shock. Reports show that the driver who was simply identified as Ba’katsha, was trying to overtake a vehicle along the highway, before crashing the car which somersaulted multiple times. All the passengers including the driver died on the spot before the arrival of emergency officials. How sad!